Gary Brinson earned his B.A. from Seattle University, and M.A. at Washington State University. 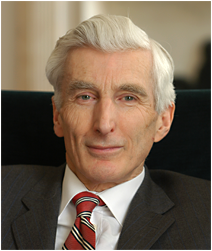 In 1979 he joined First National Bank of Chicago as the Chief Investment Officer. 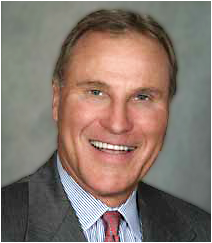 Brinson and several associates purchased First Chicago Investment Advisors from the bank in 1989 and changed the name to Brinson Partners. They later sold the business to Swiss Bank for $750 million. Brinson is one of the world's most influential investment managers and was managing more than $1 trillion in assets at one point in his career. Along with George Russell Jr., Warren Buffet, and William Gross, Mr. Brinson was named one of the investment fields' "Living Legends". After retiring in 2000, Mr. Brinson started his own private investment firm, GP Brinson Investments, and established the nonprofit Brinson Foundation with the mission to support education, public health, and scientific research programs that engage, inform, and inspire committed citizens to confront the challenges that face humanity. October 2, 2012 2012 Brinson Lecture: David Charbonneau, "The Fast Track to Find an Inhabited Exoplanet"
October 15, 2013 2013 Brinson Lecture: Andrea M. Ghez, "The Monster at the Heart of the Milky Way"
February 9, 2016 Francis Halzen, "Ice Fishing for Neutrinos"
May 17, 2018 Richard Ellis, "Let There Be Light: The Observational Quest for the First Galaxies"
April 9, 2019 Sara Seager, "Exoplanets and the Search for Habitable Worlds"
2012 Brinson Lecture: David Charbonneau, "The Fast Track to Find an Inhabited Exoplanet"
David Charbonneau is a professor of astronomy at Harvard University. 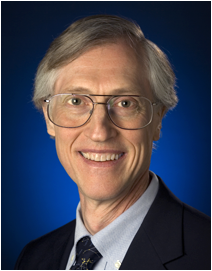 He led the first studies of the compositions of exoplanets and of their atmospheres, and he is a member of the NASA Kepler Mission to find Earth-like planets. Dr. Charbonneau has received numerous awards for his research, including the NASA Medal for Exceptional Scientific Achievement, and he was named Scientist of the Year by Discover Magazine. 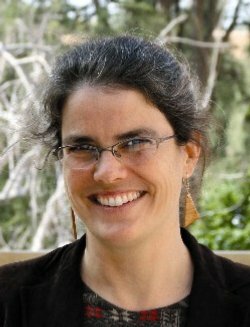 2012 Brinson Lecture: "The Fast Track to Find an Inhabited Exoplanet"
Are there inhabited worlds other than our own? Although humans have pondered this for generations, this is the first time that we have the technological ability to answer it. In the past year astronomers have found the first Earth-sized worlds orbiting other Suns, and the first exoplanets with the right temperature for liquid water. If we can study the atmospheres of such planets, we can search for the telltale molecular fingerprints of life. This event is co-sponsored by the University of Chicago and the Adler Planetarium & Astronomy Museum. 2013 Brinson Lecture: Andrea M. Ghez, "The Monster at the Heart of the Milky Way"
Andrea M. Ghez, a professor of Physics & Astronomy who holds the Lauren B. Leichtman & Arthur E. Levine chair in Astrophysics, is one of the world's leading experts in observational astrophysics and heads UCLA's Galactic Center Group. 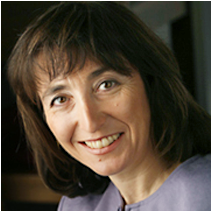 She earned her B.S in Physics from MIT in 1987, and her PhD from Caltech in 1992 and has been on the faculty at UCLA since 1994. 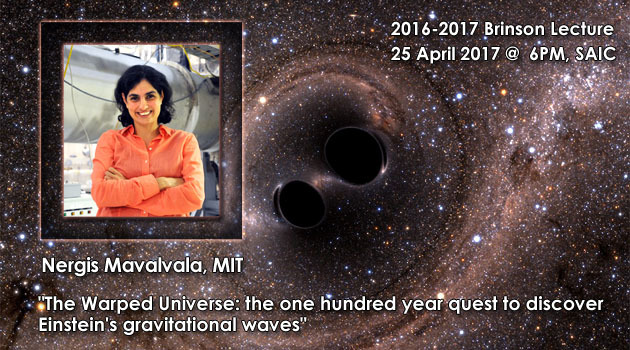 Best known for her ground-breaking work on the center of our Galaxy, which has led to the best evidence to date for the existence of supermassive black holes, she has received numerous honors and awards including the Crafoord Prize in Astronomy (she is the first woman to receive a Crafoord prize in any field), a MacArthur Fellowship, and election to the National Academy of Sciences, the American Academy of Arts & Sciences, and the American Philosophical Society. 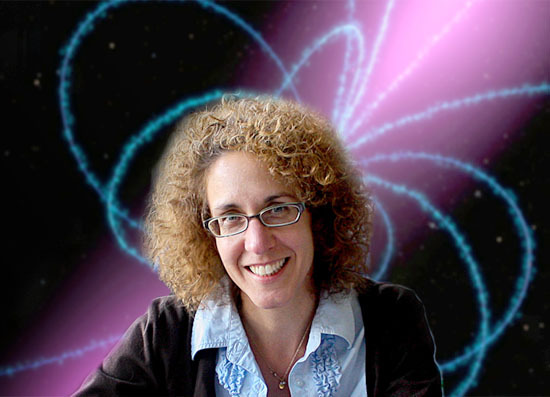 Her work can be found in many public outlets including TED, NOVA's Monster of the Milky Way, Discovery's Swallowed by a Black Hole, and Griffith Observatory. For more information see the UCLA Galactic Center Group website. 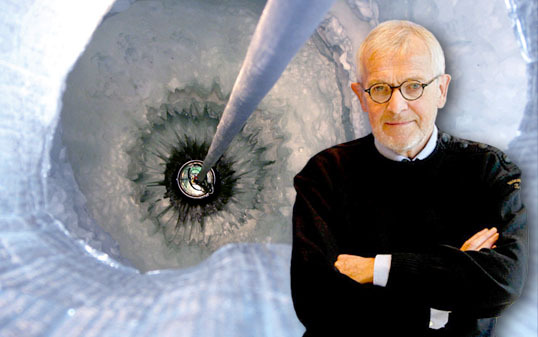 2013 Brinson Lecture: "The Monster at the Heart of the Milky Way"
Francis Halzen, "Ice Fishing for Neutrinos"
2015-2016 Brinson Lecture: "Ice Fishing for Neutrinos"
IceCube is a strange telescope which looks down rather then up. It is located at the South Pole and it is BIG (a cubic kilometer) with eighty-six holes over 1.5 miles deep melted into the Antarctic icecap. IceCube recently discovered a flux of neutrinos reaching us from deep in the cosmos, with energies more than a million times greater then those humans can produce in accelerators. These energetic neutrinos are astronomical messengers from some of the most violent processes in the universe including: starbursts, giant black holes gobbling up stars in the heart of quasars and gamma-ray bursts, the biggest explosions since the Big Bang. We will explore the IceCube telescope, its recent scientific results, and working at the South Pole. 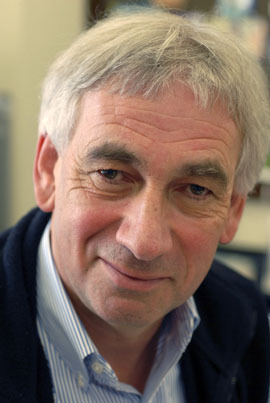 Richard Ellis, "Let There Be Light: The Observational Quest for the First Galaxies"
Richard Ellis is Professor of Astrophysics at the University College London. Until recently he was the Steele Professor of Astronomy at the California Institute of Technology (Caltech). 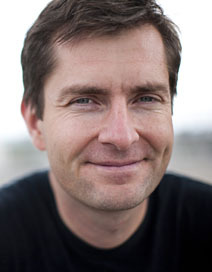 He was awarded the 2011 Gold Medal of the Royal Astronomical Society. 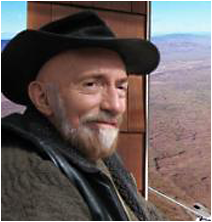 Ellis works primarily in observational cosmology, considering the origin and evolution of galaxies, the evolution of large scale structure in the universe, and the nature and distribution of dark matter. He worked on the Morphs collaboration studying the formation and morphologies of distant galaxies. Particular interests include applications using gravitational lensing and high-redshift supernovae. He was a member of the Supernova Cosmology Project whose leader, Saul Perlmutter, shared the 2011 Nobel Prize for Physics for the team's surprising discovery of the accelerating expansion of the Universe. His most recent discoveries relate to searches for the earliest known galaxies, seen when the Universe was only a few percent of its present age. 2018 Brinson Lecture: "Let There Be Light: The Observational Quest for the First Galaxies"
The first billion years after the Big Bang is widely regarded as the final observational frontier in assembling a complete picture of cosmic history. During this period early stars and galaxies formed and the Universe became bathed in light for the first time. Hydrogen clouds in the space inbetween galaxies transformed from an atomic gas to a fully ionized medium consisting of detached protons and electrons. How and when did this 'cosmic reionization' occurred and were early star-forming galaxies the primary agents? Recent progress has raised the exciting prospect that we will soon be able to directly witness this dramatic period when the Universe emerged from darkness and the first galaxies began to shine. Professor Ellis will review the rapid progress being made with current facilities, and the prospects with upcoming ones, including the James Webb Space Telescope and extremely large ground-based telescopes now under construction. The motivation is fundamental: the origin of starlight begins the process of chemical evolution which ultimately leads to our own existence in this remarkable Universe. 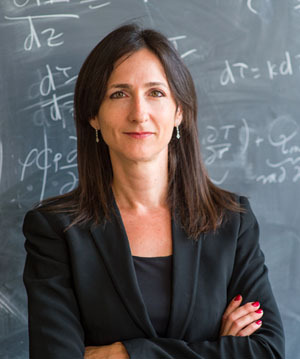 Sara Seager, "Exoplanets and the Search for Habitable Worlds"